Ship's Bell Page with its' own windcatchers: !The Ship's Bell™! The Ship's Bell is based on an actual Ship's bell, used to indicate the time aboard a ship and hence to regulate the sailor's duty watches. In times of alarm, The Ship's bell would wake and warn the sailors for General Quarters. 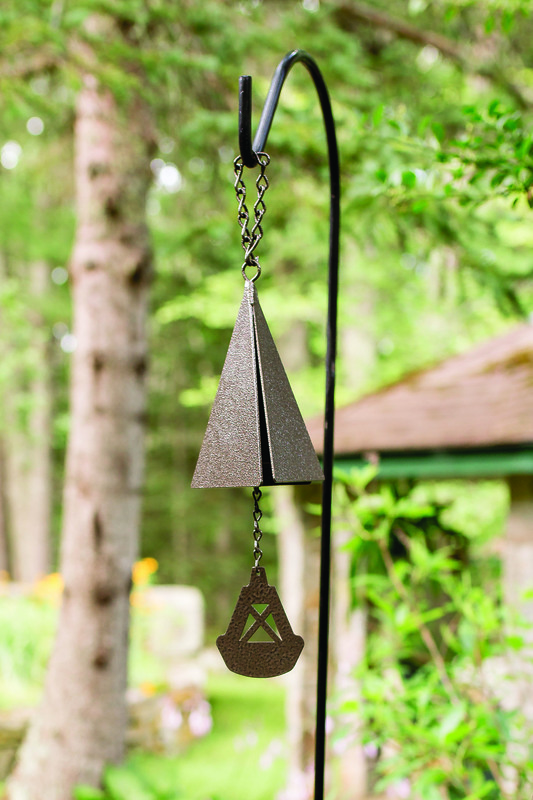 Mimicing the brass or bronze, our Ships Bell is coated in a hammertoned bronze. Our Ships Bell has its very own windcatchers to choose from. Anchors Aweigh!